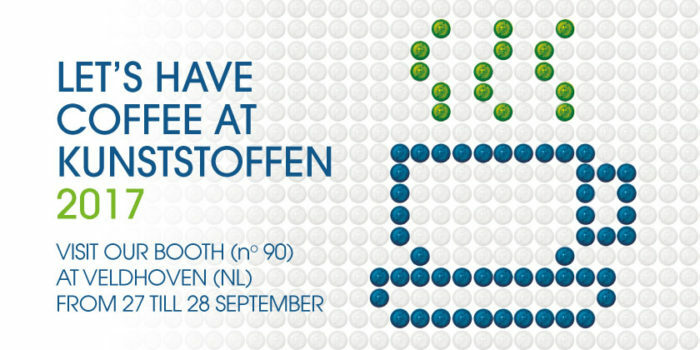 We invite you to personally learn how we help our customers stay ahead at the KUNSTSTOFFEN TRADE FAIR in Veldhoven during September 27 – 28, 2017; Diezehall, Booth n°90. Stop by our booth for a coffee, and share with us your ideas and needs, and together we can discuss finding a customized solution for your new and existing products. We look forward to learning how we can help.